I This is the second of two readings about Ruth. If you used the All Saints readings on November 4, you will need to tell the whole story of Ruth today. 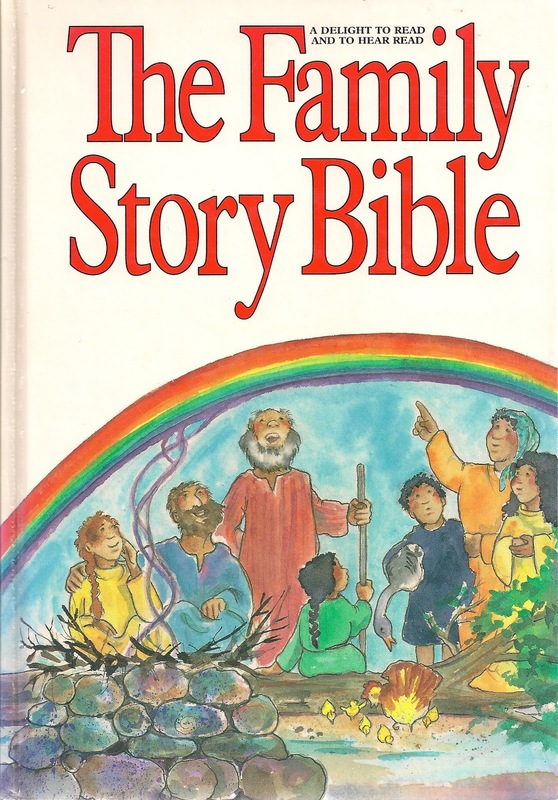 For a concise telling of the story try ”Two Brave Women” in The Family Story Bible, by Ralph Milton. It covers the main movements in the story, but summarizes the harvest festival with “Soon Boaz and Ruth got to know each other and to love each other. They got married ...” and (like the RCL) omits the sandal transaction entirely. It can be read aloud in 5 minutes. I If you focused on family love last week, expand that love to the love of the stranger or outsider this week. If you did not do so last week, begin with a display of a map of the Old Testament lands. Point to Bethlehem identifying it as the place Naomi started out and the place to which she returned with Ruth. 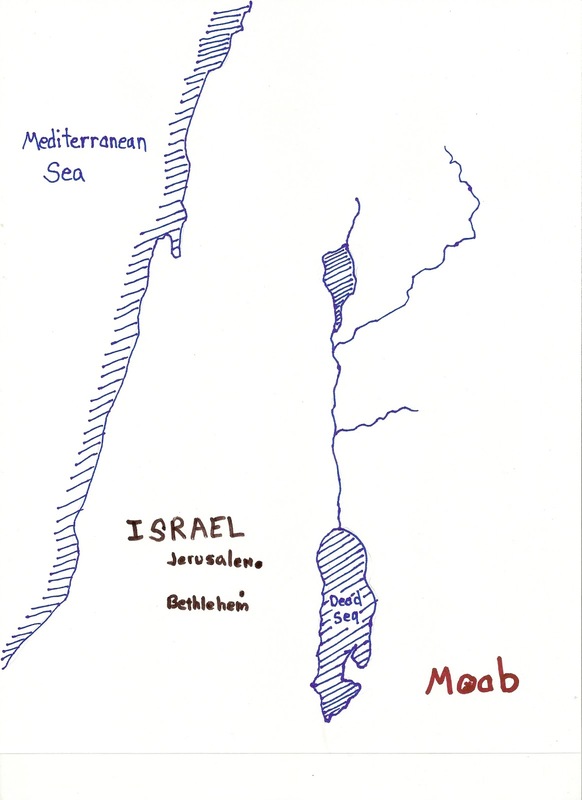 Then point to Moab and note that people who lived in Bethlehem thought the people who lived in Moab were dirty, dumb, and “not as good as we are.” They ignored people from Moab when they came around and treated them poorly. Imagine aloud how people in Bethlehem might have treated Ruth when she appeared with Naomi. Then, read what actually happened. Repeat and revel in the last verses' claim that the great King David’s great grandmother was a woman from Moab. Identify and ask worshipers to identify who gets treated like Moabites today. DIfferent groups are the "Moabites" in elementary school, high school, college, and at work or in the larger community. Ask what the Bible is telling us about all those people. Pray both for those people and for those who mistreat them. Identify groups of foreigners that tend to get treated like Moabites today. (In my area that includes migrant farm workers.) Insist that these people are God’s children and pray for them. Introduce the word hospitality defining it as welcoming strangers. Describe some of your congregation’s ministries of hospitality to strangers or outsiders. I Another way to explore this story with children is to point out after reading it that three people each did more than they had to in order to help others. Ruth could have stayed in Moab with her family, but she moved to Bethlehem with Naomi and worked in the field to feed them. Naomi could have sat in a corner and felt sorry for herself, but she carefully thought out a plan for Ruth to find a husband. Boaz could have said that Ruth and Naomi were not his responsibility, but he went to the man who was responsible for them and offered to take them into his own home. Children struggle to learn to “do more than they have to do” to make life better for people around them. These three are models promoting such loving care and pointing out that such care often works out for those who care as well as those being cared for. This theme also runs through the story of the widow who fed Elijah. 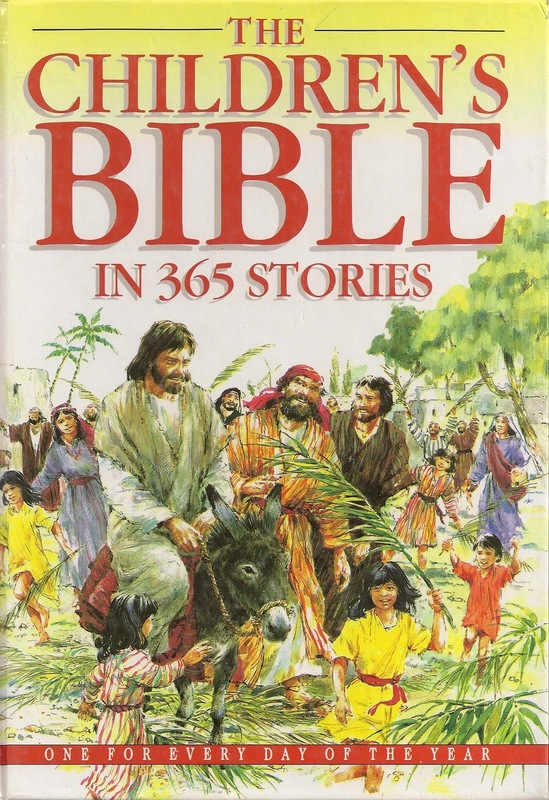 I To present this story with all the rather unfamiliar details, devote the sermon to a dialog between an older Ruth and Boaz recalling it and musing over it together. The psalmist here reminds worshipers of something most children assume, that they can trust someone else to provide for them. Children usually begin by trusting their parents, but trusting parents leads them to trust God like the psalmist does. This is not something children can articulate, so I’d skip this psalm for the children. I This story is simple and simply presented. To get the attention of the children before reading it, produce a bottle of cooking oil with only a little bit left in the bottom and a bag of flour rolled down indicating there is not much left in it. Display them and tell worshipers that today’s story begins with a mother and son who have only that much oil and flour left in their kitchen – nothing else, no eggs, no meat, no peanut butter, nothing – and no hope of getting anything else. Then read the story. I Children, like people of all ages, think they will share when they have more than enough for themselves. AND, they tend to think they never have quite enough. This story (and the gospel story about the widow dropping her last coins in the offering plate) insists that even when you are down to nothing, you can still share. Eleven days after Halloween, the candy stashes are beginning to run low. Talk about when it is easier to share, the day after Halloween when you have LOTS of candy or when you are down to your last two pieces. The answer is that it is just as easy either time. All you have do is decide to share. Do be careful to avoid implying that if they share all their remaining Halloween candy, the stash will miraculously never run out! Praise the Lord, my soul! I will sing to my God all my life. no human being can save you. on that day all their plans come to an end. The Lord created heaven, earth, and sea, and all that is in them. The Lord gives food to the hungry. The Lord gives sight to the blind. The Lord loves righteous people. The Lord helps widows and orphans, but takes the wicked to their ruin. LEADER: The Lord is king forever. Your God, O Zion, will reign for all time. ETERNAL or FORVER - as in Christ is present with us always. This word was used in Proper 25, so check there for ideas related to alpha and omega symbols in the sanctuary and singing “the time hymn” – Our God Our Help in Ages Past. Or, practice and explain what it means to sing “as it was in the beginning, is now and ever shall be” in the Gloria Patri. FORGIVING - as in the reason Christ died was to forgive us. Unpack this by exploring the petitions about forgivenes in the Lord's Prayer. Jesus forgives us. Jesus also asks us to forgive each other. Do remember all the previous cautions about children being offended by all the Hebrews talk about killing animals in order to get God to forgive them. I To grab the attention of children and to emphasize the comparison of the teachers of the Law and the widow, read verses 38-40 in proud tones and with arrogant gestures from the lectern. Then, taking your Bible with you, move to the offering plates to read verses 41-44 about the widow’s gift in simpler more straight-forward tones. I Why the Chimes Rang, by Raymond MacDonald Alden, is usually read at Christmas time, but it fits this story well. Two young brothers who are poor set out to go to the cathedral on Christmas Eve to see the great service and all the rich people bring their grand gifts in hopes of hearing the chimes that are said to ring when great gifts are given. On the way they come upon a woman dying in the snow on the side of the road. The older brother sends the younger to the cathedral with a single coin to put in the offering while he stays behind to help the dying woman. The younger brother is in awe of what he sees. Before he leaves he slips near the altar to leave their coin and the chimes ring. The story can be read in about 10 minutes. I Many commentators insist that this more about the church’s tendency to recognize the rich and powerful while ignoring those on the margins than it is about the significance of the widow’s small gift. They connect it with God responding to Ruth and Naomi on the margins in their day. Build on their theme by describing one or two of your congregation’s ministries to people (especially women) on the margins of your town. 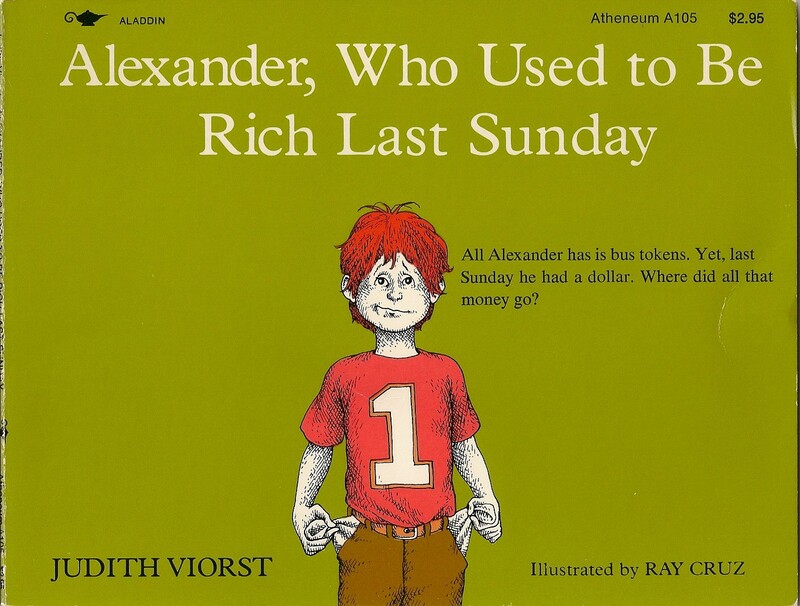 I Challenge children to put at least some of their very own money in the offering plate. Suggest they think about their birthday money, money they have earned or money they have been given to spend as they wish. Be clear you are not talking about the money parents give them to put in the offering or about money they are given for other specific purposes – just money that is theirs to spend however they wish. Point out that it may not be much, but that by giving some of their very own money now they are being real givers. Insist that it is no easier to give money when you have lots of it than it is when you have little. Use the widow as an example. 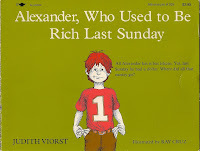 Alexander Who Used to be Rich Last Week, by Judith Viorst, describes one little boy (yes, the same Alexander who stars in Alexander and the Terrible, Horrible, Very Bad, No Good Day) spends money given him by his grandparents in a series of very silly ways. In the end he is left with nothing of value. Read it today to explore using money on things that are important rather than just spending it on anything we think we want at the moment. I The heroes and heroines of today’s stories put love into action. They do not just feel love, they do love. Illustrate and explore the fact that loving involves using our bodies by helping the children form the letters for the word LOVE with their bodies. You might have each child take the shape of each letter in order. If you do this after shaping and discussing each letter cahllenge the children to spell out the whole word with their bodies as you spell it for them. Or, shape different children into each letter until you have the whole word. Look where we are sitting – on the floor. Love means being willing to get down wherever needed with people. Ruth sat with Naomi in Moab. We can get down on teh floor to play with our little brother. Loving begins with caring about/ hugging people. straight out at shoulder height. This is harder to get into position than the hugging O. Loving is hard work. We have to be willing to glean in the hot sun, share our last meal, maybe even drop all we have in the offering plate. Thanks for all of the great ideas!! So, I'm thinking that I need to watch Shrek in preparation for this Sunday's sermon. I preaching on how we aren't just called to love/serve those whom we choose --- we're called to love/serve those whom we get stuck with, whom God chooses. Donkey and Shrek seem to be an excellent example of this. Ruth didn't CHOOSE Naomi, nor did she CHOOSE Boaz - but she loves them, even so. She is faithful to them, though she could have just gone home to her mother's house or picked a path that didn't include Boaz. She chooses to love those whom God has placed in her life, those whom she is 'stuck' with, and God blesses those relationships. Thank you so much for your creative, fun, theologically sound ideas!! So helpful! Bless you!